One reason marijuana quality can be poor is high level of moisture content. That’s why we’re highlighting THC Therapeutics, Inc. (THCT). The company’s dHydronator can reduce moisture content of cannabis to 10% in only 10-14 hours. Companies with products like THCT could help solve the industry’s quality problem. Today we are highlighting: THC Therapeutics, Inc. (THCT), Beleave Inc. (BLEVF), NutraLife Biosciences, Inc. (NLBS), Nutritional High International Inc. (SPLIF), Grown Rogue International Inc. (NVSIF), Cronos Group (NASDAQ: CRON), Aurora Cannabis (NYSE: ACB), and Tilray (NASDAQ:TLRY). THC Therapeutics, Inc. (THCT) (Market Cap: $193.008M; Share Price: $14.45) has developed a sanitizing herb dryer, The dHydronator®. Their laboratory-proven product is specifically designed for drying and sanitizing freshly harvested Cannabis and herbs. THCT’s product has been tested by two independent laboratories. The testing covered over 6 strains and 9 independent tests to confirm the findings. Over the 9 tests and 6 strains, there was a 4% average increase of THC-A*. The US patent office has accepted ALL 20 claims for The dHydronator®. The company has received full patent protection for the dHydronator®. This is big. Start your research today. Beleave Inc. (BLEVF) (Market Cap: $41.069M; Share Price: $0.086)announced on Monday that its wholly-owned subsidiary Beleave Kannabis Corp has commenced sales of cannabis oil products at its licensed facility in Hamilton, Ontario. Beleave has completed its first wholesale transfer of two bulk lots of cannabis oil to another standard processor license holder, as well as having begun cannabis oil product sales to medicinal patients through its online store https://shop.beleave.com. The company received authorization from Health Canada to sell cannabis oil products in January 2019. Beleave Inc. operates as a medical cannabis company in Canada. The company cultivates and sells medical and recreational cannabis products. It also operates a network of medical cannabis clinics in Ontario and Quebec under the Medi-Green banner. Beleave Inc. has a strategic alliance agreement with the Rollins Group Inc. to open and operate cannabis retail stores in Canada. The company sells its products through operating stores and online. Beleave Inc. is headquartered in Oakville, Canada. Beleave is developing new product lines, including cannabis-infused powder products for 2019 as the recreational market is expected to allow for food and beverage-based cannabis products. Through its majority ownership of Procannmed S.A.S., Beleave is fully licensed to cultivate, produce, and extract medical cannabis in Colombia positioning it to capitalize on exports and the expanding Latin American market. The company has partnered with Canymed GmbH to supply the German market with medical cannabis. NutraLife BioSciences, Inc. develops, manufactures, and distributes nutraceutical, wellness, and cannabidoil (CBD) products. It offers hemp-derived CBD products under the NutraHempCBD brand; and oral spray vitamins and supplements under the NutraSpray brand. The company was formerly known as NutraFuels, Inc. and changed its name to NutraLife BioSciences, Inc. in March 2019. NutraLife BioSciences, Inc. was founded in 2010 and is based in Coconut Creek, Florida. Nutritional High International Inc. (SPLIF) (Market Cap: $60.869M; Share Price: $0.197) recently released their Q2 2019 Financials with some of the highlights of $6.1 million from the sale of cannabis related products in California, primarily via its wholly owned distributor, Calyx Brands Inc. At the end of January 31, 2019, the company has now recognized a trailing twelve-month revenue from cannabis sales of approximately $17.6 million, making Nutritional High’s Calyx now one of the largest distributors in California. Today, it provided an update on Calyx Brands Inc. (“Calyx”), Nutritional High’s wholly-owned subsidiary which operates a distribution business in California. For the three months ended January 31, 2018, Calyx achieved a revenue of approximately $5.7 million, representing an annualized revenue run rate of approximately $22.7 million. For the same period, the gross margin was 19.5% and the company’s total operating expenses were approximately $4.25 million. Nutritional High International Inc. focuses on manufacturing and distribution of cannabis oils, extracts, and edibles for medical and adult use purposes primarily in the United States and Canada. It offers cannabis-based vaping, concentrate, and infused edible products, such as vaporizer cartridges, cannabis oil syringes, and cannabis infused products that include chocolates, lozenges and mints, and others. The company also distributes other branded cannabis products. 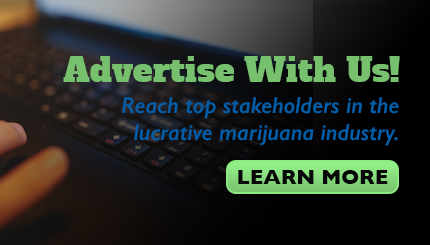 The company follows a vertically integrated model with a fully developed strategy for acquisitions in extraction, production, sales, and distribution sectors of the cannabis industry. Grown Rogue International Inc. (NVSIF) (Market Cap: $1.635M; Share Price: $0.3096) recently announced that stock options have been granted to two consultants of the company to purchase up to an aggregate of 650,000 common shares of the company. The stock options are exercisable at a price of $0.44 per share with 150,000 of the options expiring on November 30, 2021 and 500,000 options expiring on January 1, 2022. In addition, the company also issued a total 570,500 common shares to certain directors and officers and 241,818 common shares to a consultant, in each case, as compensation for services previously provided to the company. The above-mentioned common shares and any common shares issued pursuant to the exercise of the stock options will be subject to a four month hold period expiring on August 6, 2019. The vertically-integrated, multi-state cannabis company, with licenses and operations in Oregon, California, and now Michigan, had also released its financial and operating results for the three months ended January 31, 2019 in the first week of April. Key highlights include –First quarter revenue grew 388% year-over-year to $834,309 and is expected to continue as the company proceeds with its expansion plans in Oregon, California and Michigan. Gross margin improved to 31% compared to negative gross margin Q1-F2018. Grown Rogue products in over 220 dispensaries in Oregon. Grown Rogue International Inc. Grown Rogue International, Inc. operates as a seed to experience cannabis brand. Its products include flower, pre-rolls, cartridges, and extracts, including shatter, wax, oil and sugar, which are categorized according to desired user experiences: relax, optimize, groove, uplift and energize. Cronos Group, Inc. (CRON) (Market Cap: $5.391B; Share Price: $17.70)will announce its financial results for the first quarter ended March 31, 2019, and hold its First Quarter 2019 Earnings Conference Call on Thursday, May 9, 2019 at 8:30 a.m. EDT. Senior management will be available for questions from the investment community after prepared remarks. Cronos Group is an innovative global cannabinoid company with international production and distribution across five continents. Cronos Group is committed to building disruptive intellectual property by advancing cannabis research, technology and product development. With a passion to responsibly elevate the consumer experience, Cronos Group is building an iconic brand portfolio. Cronos Group’s portfolio includes PEACE NATURALS™, a global health and wellness platform, and two adult-use brands, COVE™ and Spinach™. 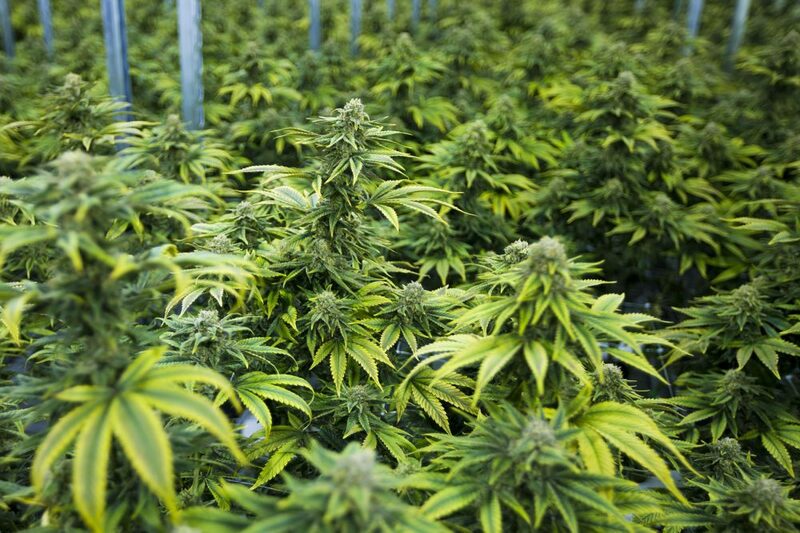 Aurora Cannabis (ACB) (Market Cap: $ 8.97B; Share Price: $8.81) announced that the company is one of the three winners of the public tender for the cultivation and distribution of medical cannabis in Germany. The tender was awarded by the German Federal Institute of Drugs and Medical Devices. Tilray, Inc. (TLRY) (Market Cap: $ 5.461B; Share Price: $56.42) recently signed a letter of intent (LOI) with LiveWell Canada Inc. Under the terms of agreement, Tilray will buy hemp-derived CBD isolate sources in Canada and the United States. The CBD isolate that Tilray is buying from LiveWell Canada will be used for Tilray’s wellness and medical products in Canada and the U.S.